Have you researched the cost of a college education lately? The numbers are striking. 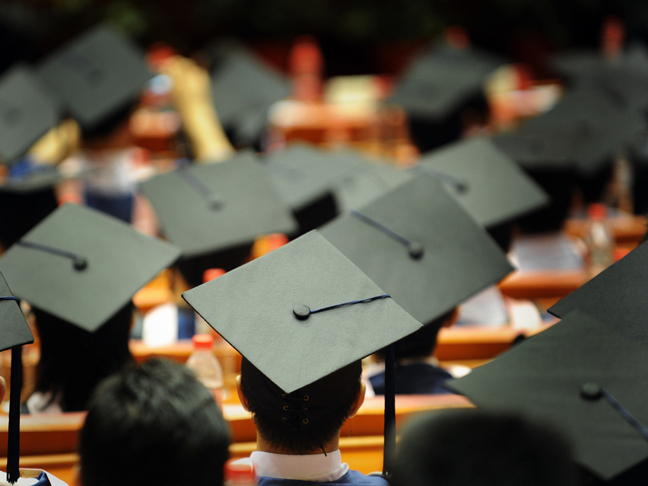 According to the College Board, an education at a public, out-of-state higher learning institution currently stands at an average of $31,701 per year. If you're eyeing a private school for your kids, bump that number up to $40,917. Instead of merely getting frustrated, though, there are things you can do to combat those exorbitant costs. Here are six tips on how to save more money for college. Nobody likes sitting down and writing out a budget—but you're going to love what it does for your finances. If you're tech savvy, use an online service like Mint or PearBudget. If not, try an Excel spreadsheet or even a pen and paper. Notate your income in one column and your monthly expenses in another, prorating any annual costs like real estate taxes and auto insurance. Even if you already spend less money than you take in, you're going to have to make some additional cuts to account for college expenses. Start by looking at your monthly service bills. Total up your payments for phone, internet, and cable. If you're not currently getting all these services from one provider, look into bundling them. If you're a movie buff, consider canceling your cable package altogether and going with a streaming service like Netflix. If you own a cell phone, you can eliminate your landline and switch to a device like MagicJack Plus which can save you hundreds—and you no longer need an internet connection to use it. The simple truth is that you just don't need that latest and greatest smartphone. Your current TV is probably more than sufficient for now, too. Skip all other luxury items like smart watches, bluetooth speakers, and fancy headphones. Dig deep in your wardrobe and break out any clothes you haven't worn in a while so you don't feel you need to buy more. Make due with what you've got and put that money toward your children's education instead. Consolidate your errand trips and you can save on gas. Dial back your thermostat a few degrees this winter to conserve money on home energy—throw on an extra sweater and you won't notice the difference. Cut back on your meals out by one per month and use that opportunity to cook with your kids at home for a fun experience. When you do eat out, skip the appetizer, dessert, and alcoholic beverage, and avoid that nightly special—it's generally a lot more expensive than regular menu items. Sign up for the rewards program at your preferred office supply retailer, and at select times throughout the year lots of office and school supplies will be available free of charge after a rebate. You pay full price up front but get 100% of it back through a rewards certificate issued the following quarter. Go to the website CNET the next time you need computer software and look for your title there—many downloads are free. And don't sign up for that fitness center membership—start a home workout program instead. Current 30-year mortgage rates are in the 4% range. Are you paying more than that? If so, look at the possibility of refinancing—it could save you significant money. Just make sure any fees you're required to pay don't negate the benefit of a lower interest rate. Search the website Zillow for refinance specialists who can guide you through the process. Once you have a cash surplus you want to be sure you use it effectively. One of your best bets is to invest in a 529 college savings program. You might qualify for a state tax break by doing so, and your earnings grow free from federal taxes. With the high cost of college, saving as much as you can for your children is critical, but getting that money to grow on its own is where the hard work really pays off. 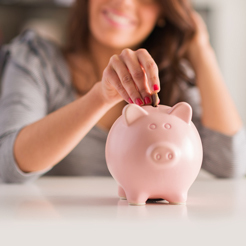 What ways can you think of to save more money for college?